When it comes to the kind of service our partners can rely on Bernick’s distribution for, we tend to say we’ll do just about anything in the name of success. Of course, that can be applied pretty loosely, and we’ve shared plenty of examples of our partnership over the years. We always want the best for our customers and our community, so it's time to tell you what Bernick’s won’t do on behalf of our customers. Supporting locally-owned businesses – and the local economy – has always been at the center of our operation. We partner with venues and establishments like yours to fill shelves, fountains, and tap lines with the brands consumers want. Our focus is on making the communities we serve stronger – that’s our commitment as your distribution partner. 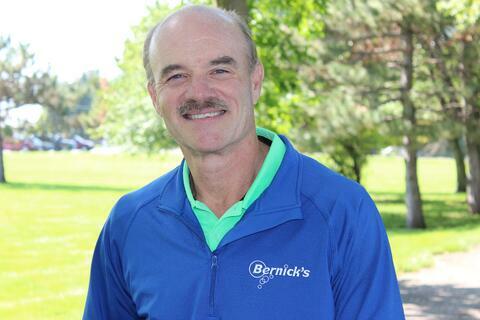 Bernick's wouldn't thrive without its customer and community support system. Some of our customers have been with Bernick’s for 10, 20, 30+ years. That type of longevity isn’t a coincidence. It’s a testament to our service model and how much value we place on serving our customers across countless industries in food, beverage, recreation, education, and business. Treating you like a number isn't how we do business and we intend to keep it that way. If your company has varied differentiators or an operating structure that makes food and beverage distribution unique, we can help you establish a system to support your goals and challenges. If you’d like additional support in marketing materials, or some feedback on how best to throw a community event, our team can assist in some of the planning and advise on how to best execute. When you speak to your best friend, you expect nothing but the truth - we're your best friends in the beverage business. We have built a great network and established positive relationships with a number of local businesses and brands. We can recommend or refer any service provider or vendor partner you might seek in your own line of business. Think of partnering with Bernick’s as a strategic alliance that will make your brand even stronger. The flip side of food and beverage distribution is the labor and time-intensiveness of doing it on your own, or tasking someone on your team with that large operation. Supply chain management helps reduce costs and improve your bottom line. Bernick’s can be your all-in-one source for numerous items including soda, water, beer, non-carbonated beverages, coffee, tea, cups and all supplies, plus all machines, which means less running for you and a more streamlined process. We get it. We know you’re busy running your business or service and that you’re the expert in that area. But we’re the experts in supply and distribution, and can be counted on to meet the needs of your customers, employees, and guests no matter the size or scope of your business. We like to solve problems on behalf of our partners, and handling the needs of your distribution helps you stay focused on the bigger picture. We're ready to be your best friend in the beverage business.